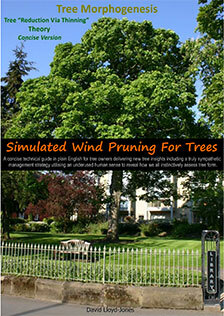 Kindle – Tree Morphogenesis Book 1, Reduction Via Thinning Theory. The full first edition of this book aims to do nothing less that introduce you to a fundamental organising principle of almost all woody plants and in the process, change the way that you see trees AND change the way that you look at trees. It is important to appreciate that this book, while containing new and innovative insights into trees, their form and their structure, delivers practically applicable insights that you will be able to use on the trees in your garden. 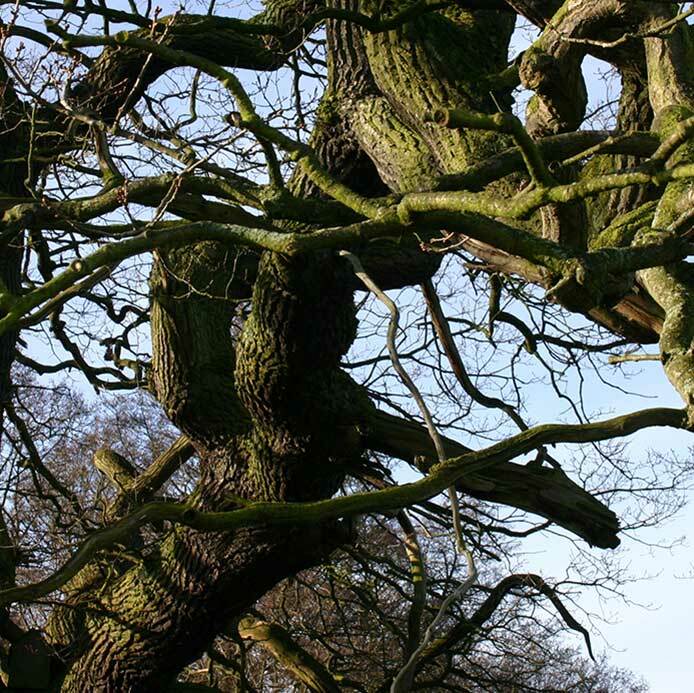 The tree management strategy described represents the most sympathetic way to manage the size of trees so far described and it will pass the common sense test. 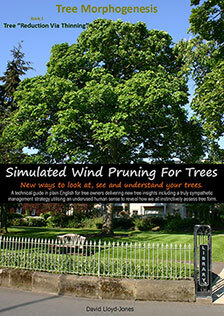 Or see your local Amazon store and search for Tree Morphogenesis. This slightly abbreviated version contains all of the most valuable insights from Tree Morphogenesis Book 1, Reduction Via Thinning Theory but without most of the images that illustrate that book. The insights are fully explained and where pictures contain information that illustrate the concepts revealed in the text, those images are made available via links from within the book. The concise version is our introduction to the conceptual model that is Tree Morphogenesis.